Cool Chat! AC and Pool is the HOT topic at the moment!!! *If you plan to leave your home for the weekend to get out of this 3 digit degree weather, it's highly recommended that you DO NOT shut off your AC completely. Instead turn it up so it doesn't cycle on often. If you turn off your AC completely it will take a considerable amount of time to cool down when you return home. When you do, turn your AC down 2 degrees at a time. This will prevent your system from locking up and needing to be rebooted. In these hot months your pool should be circulating 10-12 hours a day. More hours during the day than night. 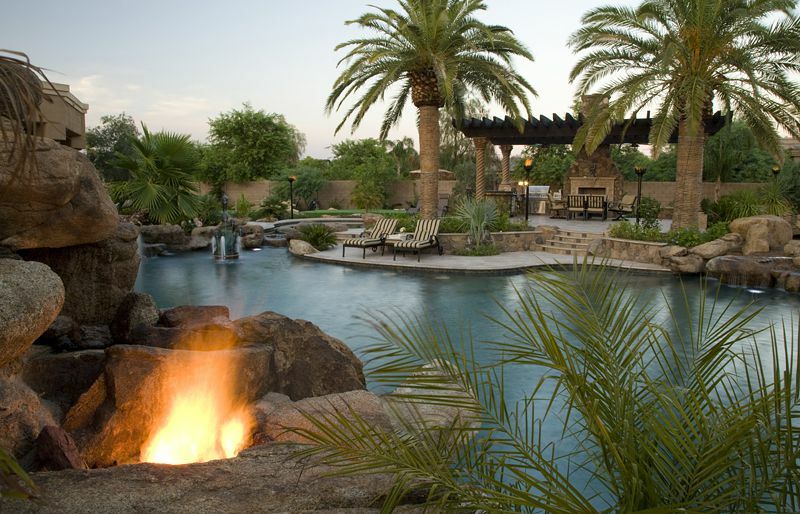 You do not want your pool water sitting still in the daylight hours, absorbing heat. Moving water is cooler = less algae. According to research, man-made watering holes for bathing and swimming go back at least as far as 2600 BC. The first elaborate construction was probably The Great Baths of Mohenjodaro, an ancient and elaborate bathing site in Pakistan, with terraced decks that wouldn't look out of place in a modern pool landscape today. This was however, not likely used for lap swim! The Cabot Street Bath in Boston was the first swimming pool in the U.S. It opened in 1868 and served a neighborhood where most of the homes did not have baths! In the 20th century, a number of leaps in technology took swimming pools to a new level. Chlorination and filtration and above ground pools brought this activity home to the masses! Elephants can swim, 20 miles a day, using their trunks as natural snorkels. Tuna swim at a steady speed of nine mph and they never stop! That means a 15 year old tuna may have traveled 1,000,000 miles! Benjamin Franklin invented swim fins. The average human produces 25,000 quarts of spit (Eww!) in a lifetime, enough to fill two swimming pools.